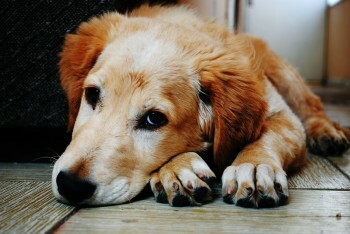 Losing a pet or animal companion can be one of the most difficult experiences you will go through. Unlike the death of a human friend or relative (which is surrounded by rituals such as traditional funerals, support groups, and outpourings of help from the community), a pet death is often a solitary affair. Most people have circles of friends, relatives, co-workers, acquaintances, and others with whom they come into contact on a daily basis. When death occurs, these people tend to come forward to offer their condolences, assistance, and happy memories of the deceased—all of which can help you in the grieving process. With pets, it is different. It is often just you and a few others who knew and loved the deceased. This can make you feel lonely, isolated, and especially sad as you attempt to move forward with your grief. That is why it’s so important to take the time to grieve and memorialize your pet. By following many of the same steps that we take for human loss, you can better understand your feelings and find ways to cope. One of the most common things that occurs when we lose a pet (and, in some cases, a human) is that we focus more on all the ways we let the pet down rather than all the good times we had together. This is especially true if you chose euthanasia as a humane release or were unable to pay the huge veterinary costs necessary to prolong your pet’s life. Focusing on your guilt—I could have done more, I should have taken my pet on more walks—is not helpful and, in most cases, incredibly unfair. Your pet had a wonderful life because of you. You loved your pet in ways no one else did or could. If you find yourself focusing on the guilt you feel, it is important to step back and take a wider, more forgiving perspective. Take Time Off: As silly as it might sound to those who do not have pets, it is important to give yourself time and space to grieve. This may mean taking a few days of sick leave or vacation so you can focus on self-care. Give yourself time to grieve your loss, even if that means letting go of a few of the tasks on your daily to-do list. Remember Self-Care: Eat regular meals, get plenty of sleep, exercise regularly, and drink plenty of fluids. These things sound simple, but they are important for maintaining both your physical and emotional health. If your regular exercise is emotionally difficult (because it was a shared activity with your pet), find another routine that will keep you active. Choose the Right Burial: You can bury your pet in a special animal cemetery, have them cremated and the ashes returned to you, bury them on your own land, or lay them to rest in a mass pet grave and memorialize them in your own way at home. You might even choose to research the options around having your pet buried alongside you. All of these are viable (and common) options, and there is no wrong way to lay your pet to rest. If you cannot afford one of the more expensive options, try not to feel too much guilt over it—setting up a picture and candle at home is often all you need to properly mourn. Reach Out for Help: You are not alone in feeling grief for a deceased pet. Many people suffer the same feelings as you and do not have a way to share them. Contact your veterinarian or a local animal shelter to see if they have support groups, hotlines, or online forums to help you in your grief. They might also have volunteer options that will allow you to channel your love and feelings into a positive outlet for other animals. Your feelings deserve time and care, and you should never neglect them if things begin to feel overwhelming.